Samurai are renowned for their unbreakable code of honor and their exquisite armour designs. Embodying this unique styling, the Leather Samurai Full Armour Set is the perfect attire for any LARPer seeking to assume this honorable role. 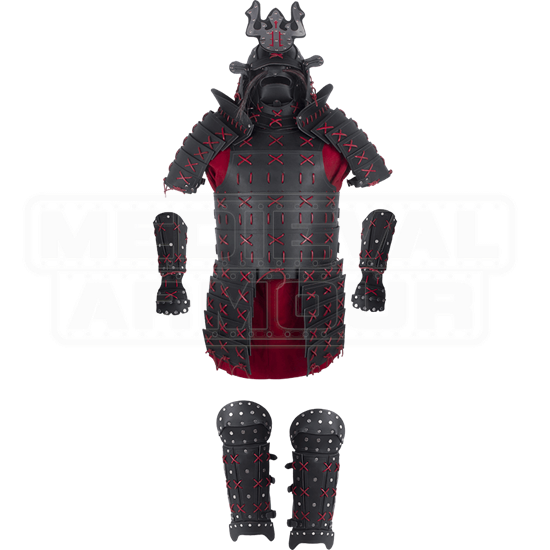 This LARP armour is inspired by that worn in feudal Japan by these legendary warriors and employs a plated styling throughout each piece. Included in this set is a helm, Mempo or face shield, pauldrons, cuirass, bracers, and greaves. Each piece is carefully constructed from 9-10 oz. leather in an eye catching design which maintains supreme flexibility to aid in your successful conquest of the battle field. These pieces attach comfortably to the body through the use of highly adjustable leather straps. 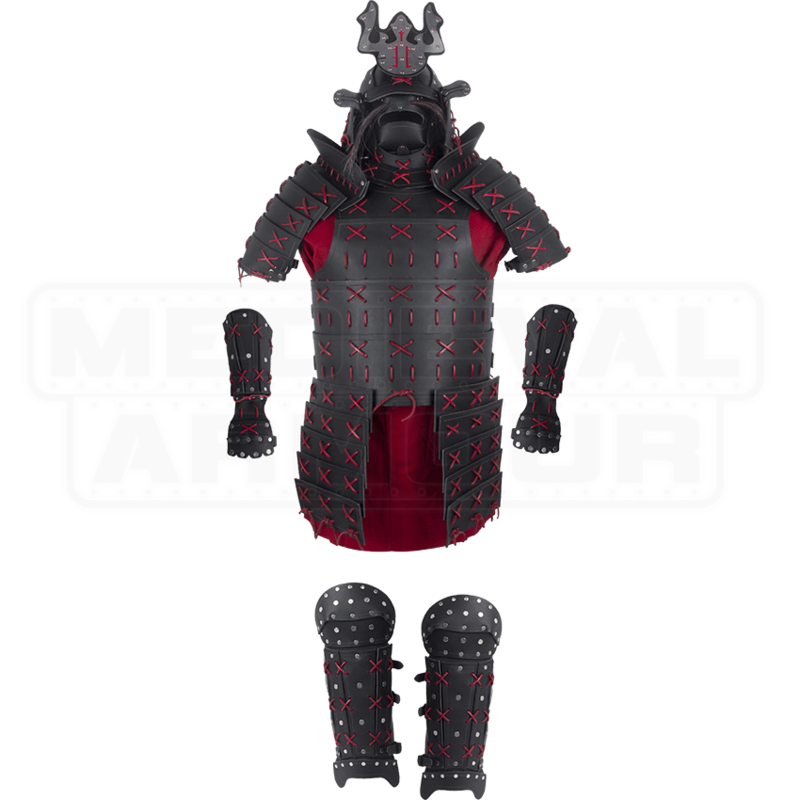 Distinguish yourself on the battle field with the magnificent design of the Leather Samurai Full Armour Set and prepare for the barrage of compliments which it will generate.